The Supreme Court struck a blow today [PDF] for your right to own the things you buy, reversing a lower court decision that had given patent owners the power to sue customers who paid in full for a patented item but then used it in a way the patent owner didn't care for. The Court's reasoning will help us protect your rights from overbroad copyright and other restrictions, like the ones written into "end user license agreements" for software or imposed by technological restrictions given legal teeth by Section 1201 of the DMCA. 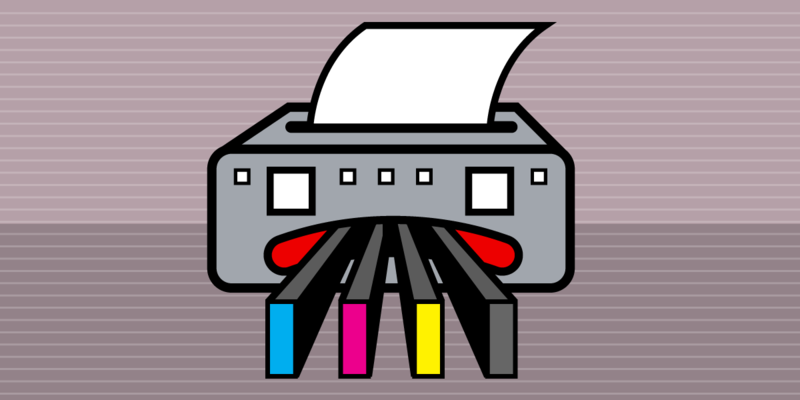 Lexmark tried every legal trick in the book to keep you from refilling your own printer cartridges, and had finally found a sympathetic ear at the Federal Circuit, the Federal Court of Appeals with jurisdiction over patent law. The Federal Circuit agreed with Lexmark that a patent owner could write their own rules that customers would have to follow or face liability for patent infringement. Even someone who later acquired a product, like the companies that refill printer cartridges, would have to abide by these restrictions. Together with Public Knowledge and R Street, EFF filed an amicus brief [PDF] at the Supreme Court. We explained that the ability of patent owners to sell products into the stream of commerce while also writing a wishlist of anti-competitive restrictions, would be a disastrous expansion of patent law, hindering competition, innovation, and your freedom to tinker with and repair your own stuff. The Supreme Court agreed, explaining that when a patent owner "chooses to sell an item, that product is no longer within the limits of the monopoly and instead becomes the private individual property of the purchaser, with the rights and benefits that come along with ownership." The Court emphasized that, by default, people have every right to make, sell, and use things. The limited monopoly that the government bestows upon a patent owner is a deviation from the norm of free market competition and ownership of personal property, and is subject to important limits in order to protect the public interest. The Court also rejected the argument, raised perennially by rightsholders, that they are entitled to profit via the business model of their choosing, even if that business model requires an expansive reading of the patent or copyright monopoly they enjoy. This argument arises in many contexts. For example, we've seen video game console makers argue that your traditional rights to modify your gaming console must be restricted to enable the loss-leader business model of selling inexpensive consoles and pricey games. Makers of Internet-of-Things devices often require a subscription to function. And manufacturers often try to place restrictions on reselling digital goods, repair markets, and other uses that the law has traditionally allowed customers to engage in. A rightsholder may be able to make more money if you have to pay to exercise your existing rights, but ownership of a patent or copyright should not be a hunting license that allows an owner to control and destroy any business that threatens their profits. Today, the Supreme Court reaffirmed that a patent does not confer unfettered control of consumer goods to the patent owner. The reasoning in the Court's decision also demonstrates why Section 1201 of the DMCA has become dangerously overbroad. The Chief Justice used the auto industry as an example of a market that would be hindered if manufacturers retained a legal right to control the repair and resale of the devices they sold. This argument won't be a surprise to anyone who followed the latest rulemaking process, in which we convinced regulators to (at least temporarily) relieve some of Section 1201's restrictions on auto repair. Overall, the decision reinforces the freedoms of device owners and fends off the monopolistic threat of patent rights eliminating fair, essential competition in markets for repair and third-party innovation. We applaud the Supreme Court for striking this blow on behalf of the public, and look forward to seeing the ripples of the decision in the years to come.